The long post below, which appeared on Facebook on Monday, was written by Maria, a friend whose husband is in need of a kidney transplant. “Of course!” I told her. What she says is true. We don’t ever know how things will unfold. With that in mind, I’m asking you to please read the post below in the hope that somehow, through contacts, connections, or coincidence (which, according to Albert Einstein, is God’s way of remaining anonymous), things will unfold well for Maria and her family. I need to admit that this is a terribly difficult post for me to write. I hate publicity and I hoped, all along, that my family and I will be able to avoid going public and exposed about the things we are now facing. Unfortunately, sometimes you don’t have another choice but to do whatever you hate the most. My husband of 16 years, Arcady Litmanovich, suffered from kidney related problems since he was a young boy. At the age of 14, one of his kidneys got removed and he remained with one malfunctioning kidney. Back then he was also infected with a hepatitis C virus, which he had successfully treated a few years ago. 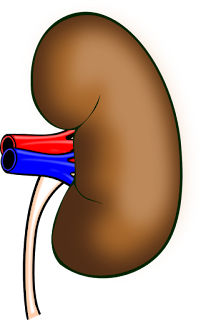 Despite his continuous struggle with Chronic Kidney Disease, Arcady led a fairly normal life-style until about four years ago, when his condition got into its fourth, pre-final stage. For the last few years, Arcady has been following an extremely strict diet, while his vitality and overall health has rapidly declined. Now Arcady is in kidney failure. Since this was an inevitable outcome of his disease, I started to inquire about becoming a donor for him a long time ago. Although, we are not blood type compatible, I’ve considered an option to do a kidney donation swap – when you donate a kidney to someone with a compatible blood type and their designated donor donates to your patient. After starting the process, however, I’ve realized that nowadays, you can donate to your patient directly even when your blood types are incompatible. NYU Hospital is a champion in this and it really amazes me what wonders modern medicine can do. As scared, worried and upset as I was about the decline of Arcady’s health, I was one hundred percent complete with my decision of becoming a donor to him. In fact, I really wanted to do that. See, we are together for many years and I love him very much. Before we got married, I was aware of his health issues. Even though, it was remote and seemed unreal back then, when we were young and careless, I knew that one day I, as his wife and a potential mother to his children, will need to take an action. And, as a young woman, many years ago, I made a decision. I knew that if I marry this man, there will come a day when I will need to donate him one of my kidneys. And thus, every time I would eat a hamburger or drink one or two glasses too much, I would tell myself, “Stop, you need to take care of yourself, you have a kidney to donate and it needs to be healthy…” So, when the time did come, I was as ready and willing as I could possibly be to donate. I’ll not lie, I’m absolutely devastated by this outcome. For a long time, I was a woman with a plan and since I had a plan in place, things didn’t seem as overwhelming. Now – I’m lost. We need to look for a donor ASAP to save Arcady’s life and well-being. But how can you ask someone to donate a kidney to someone else?? How do you put such a request out there: “we are in need of a kidney, could you spare yours, please?” Personally, I really struggle with this. 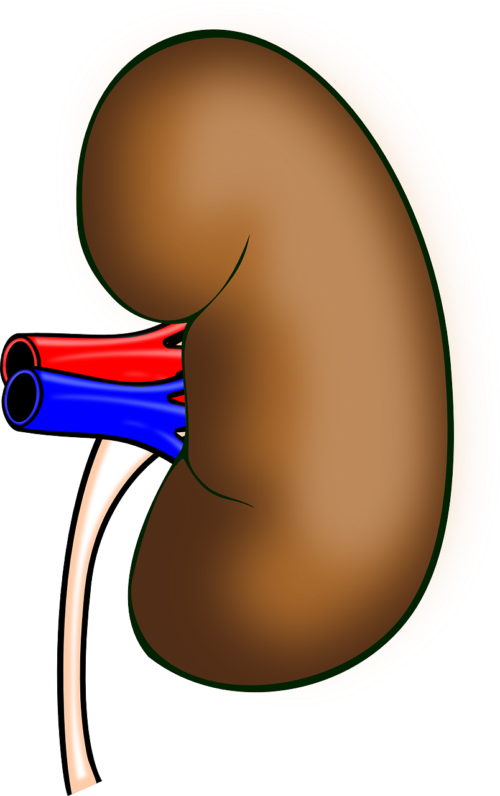 Just take my kidney and don’t make me ask others to do that… And, yet, now I don’t really have another choice, but to put the info out there. Simply, because this is a matter of life and death and I don’t know what else to do. We are working with an amazing Jewish organization, Renewal – they were working with me as a potential donor to Arcady and they will continue helping us now. Also, I want to, once again, stress that the screening process is so serious and so severe that there is almost no chance for the person who was cleared to donate, to experience health issues due to donation. 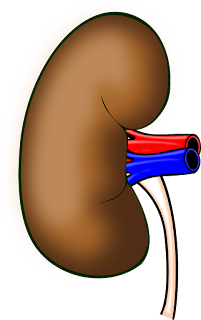 In fact, kidney donors on average live longer than other people, since only the healthiest people are being chosen to donate. And, of course, there is no bigger mitzvah than saving a life for whoever saves a single life, saves the entire world. I so immensely wish that I could fulfill this mitzvah myself... So, I’ve somehow managed to put my words out there. If you or someone else you know would like to test to be a kidney donor, please reach out to Renewal. Also, please say a prayer of healing for Arcady Litmanovich – Aharon ben Zoya.